Repayment mortgage of £160,000 with 300 monthly repayments. At end of initial period mortgage reverts to Standard Variable Rate (currently 4.24%, costing £847.28 p/m) for 276 months. Total amount payable £250,164: Interest (£89,100); Application fee (£999); Mortgage discharge fee (£65); Any fees are assumed to be paid up front and not included in the amount borrowed. Costs based on assumed completion date of 20/04/2019. Repayment mortgage of £160,000 with 300 monthly repayments. At end of initial period mortgage reverts to Standard Variable Rate (currently 4.99%, costing £909.94 p/m) for 276 months. Total amount payable £267,465: Interest (£106,392); Application fee (£999); Mortgage discharge fee (£20); Deeds release fee (£54); Any fees are assumed to be paid up front and not included in the amount borrowed. Costs based on assumed completion date of 20/04/2019. Repayment mortgage of £160,000 with 300 monthly repayments. At end of initial period mortgage reverts to Standard Variable Rate (currently 4.24%, costing £847.28 p/m) for 276 months. Total amount payable £250,214: Interest (£89,100); Application fee (£999); Funds transfer fee (£35); Mortgage discharge fee (£80); Any fees are assumed to be paid up front and not included in the amount borrowed. Costs based on assumed completion date of 20/04/2019. Finding the right mortgage is one of the biggest financial decisions you're likely to face, but what exactly is a mortgage and what should you be looking for to find the right mortgage? Firstly, you may ask yourself: what is a mortgage? A mortgage is essentially a loan from a bank specifically provided for the purchase of property. The reason it's called a mortgage and not a loan is due to a subtle yet significant difference between the two. So what is the difference between a mortgage and a loan? If you miss a payment or have trouble repaying a loan, the provider of the loan will chase you for it in the usual way that they might for most other credit product types. How a mortgage works is that if you were behind on your mortgage repayments and were close to being unable to afford it, the bank could take (repossess) your home. Essentially a loan works as a relationship between the lender and the borrower, i.e. the bank and you. If something goes wrong with your ability to pay back any loan, you are responsible. However, with a mortgage, your personal property is tied to that relationship, so if something went wrong, the bank would be able to simply repossess the property you used the mortgage to buy. You only fully and independently own the property until the mortgage is paid in full. This protects the lender, be it a bank or building society, in the event that you are unable to repay them. A mortgage also allows you to start using the property immediately, so you would not need to repay the amount in full to start living in it or start renting it out to a tenant. You could start using the property once the sale has completed, but this would obviously depend on you keeping up with repayments every month. Mortgages are typically taken out for longer terms like 20 to 25 years. The longer your term the more spread out your costs, so the lower the monthly repayments, but the longer it will take to repay. The mortgage providers charge you an interest rate to borrow the money. Often this rate is fixed for a certain period of time (say 2 years), after which it reverts to a higher rate. This is known as a fixed mortgage. Some mortgages also charge various fees for booking the mortgage in, arranging the mortgage, and completing the mortgage. They may also charge you an early repayment fee if you wish to pay back your borrowing earlier than the term. We provide all kinds of different mortgages for different purposes, whether it be to remortgage, to moving home, to taking out a buy-to-let mortgages. If you're not sure what mortgage type is suitable below we explain different mortgage types below. The LTV, or loan to value, is the ratio between the value of your property and the amount you're looking to borrow. All mortgages have a maximum LTV – that is a maximum percentage of borrowing in relation to the house value. The typical LTV limit is 90%, although for those looking to borrow 95% of their home's value schemes like 'Help to Buy' may be available. Typically the higher the LTV the higher the interest rate of the mortgage. Mortgages for first time buyers tend to have higher LTVs, and hence higher rates, in comparison to a remortgaging mortgage for existing homeowners. How should I use the mortgage table? Once you know what mortgage type you're after just choose the right tab and tell us what specific mortgage details you're after. These are the property value, the amount you want to borrow (the size of the mortgage), the term over which you want to repay your mortgage, and whether you're looking to for a repayment or interest only mortgage How do I determine property value? The property value is simply the price of the home you're after. A mortgage lender will need to do their own property valuation before offering you a mortgage, but for running a comparison you can get a good indication by using the price of the property or the value quoted by a surveyor. Whilst some mortgage providers use a surveyor it is more common these days for a drive by valuation or desktop survey to be conducted. Your mortgage provider will combine this with land registry data, recent sales in the area, macroeconomic data, and house price indices. The APRC is a good way of comparing different mortgages. It takes the overall rate charged over the lifetime of the mortgage, incorporates any fees, and gives you a baseline comparison rate. While some mortgages may offer a low rate for the first two years for instance, once they revert they may prove to be more expensive over the full term. Or, conversely, one rate may have a lower rate but have high fees associated with it. The APRC allows you to compare these mortgages and see what the best overall product is for you. Deciding which mortgage to apply for can be a long and difficult process. There are several factors to consider, with mortgage interest rates being one of the most important. So how do mortgages interest rates work? Generally, the first rule of mortgage interest rates is that they're usually lower for people with higher deposits. If you're remortgaging, then the higher the equity in your home is, then the lower your mortgage interest rates are likely to be. Similarly, if you have a lower deposit, you're likely to have to pay more on your mortgage's interest. It's important first to understand what mortgage interest is before learning how it is calculated and how it works. Mortgage interest is similar to interest on any other loan product. When you borrow that money, you have to pay it back with interest. However, the interest rate is even more important on a mortgage because it is likely you will be paying off your mortgage for many years, maybe even 25 to 30 years. Also, the type of mortgage you select, be it fixed rate, tracker, offset or standard variable, will determine the mortgage interest rate you get over the course of your repayment plan. So how is interest calculated on a mortgage loan? Unlike other types of credit and loans, mortgage interest rates are calculated quite differently. If you took out a credit card you would have the annual percentage rate (APR) as a guide on how much to pay once you start borrowing outside of the interest-free period. On a loan, you are more likely to have a fixed amount to pay each month for 3 to 5 years. With a mortgage you have interest to start paying immediately, and the value of this can go up or down depending on the Bank of England's interest rates and the mortgage provider. Read on to learn more about how this works. With a mortgage, your interest rate is dependent on a few factors, including the Bank of England 'bank rate' or 'interest rate'. The bank rate is the rate which the Bank of England, the central bank of the United Kingdom, sets to other banks on lending. It is also known as the base rate, because this is the starting point or base for banks to lend from or save with. This means that the rate you get from the bank begins with the base rate. This also affects your other credit products like credit cards and loans, as well as your savings. As a general rule, the lower the Bank of England's base rate, the lower the cost of borrowing, but also the lower your return on savings will be. The Bank of England sets the base rate according to the demands of the wider economy. When it looks like the economy requires more spending, their committee to determine the bank rate may lower it, so that savings accounts offer less of a reward, and borrowing is cheaper. However, a variety of factors can affect the bank rate. Nonetheless, as you might imagine, the Bank of England interest rate is likely to fluctuate over the course of a mortgage term, especially if you're paying it off over around 25 years or so. So picking the right one for you and your circumstances, with the future in mind, can be very difficult. Despite the fact that the Bank of England base rate is likely to change, there are several types of mortgages that can give you a range of interest repayment options. The two key types of mortgage interest are fixed rate and variable rate mortgages. As the names imply, fixed rate mortgages give you a fixed interest rate, and variable rate mortgages give you interest rates, which are subject to change. Between these two types of mortgages, there are a few other kinds, and you may wish to consider them all before picking the right one for you, or be prepared to even combine a few of the options. Mortgage rates in the UK vary with market competition and the base rate of interest set by the Bank of England. The best UK mortgage rates you can get will vary according to your circumstances and how much deposit you can put down. The best mortgage rates will only be available to those with the largest deposits (typically over 40%). When should I get a mortgage? When you've found a property you want to buy and your offer has been accepted, you will most likely need a mortgage to help buy the property. To make the home buying process much smoother though, you should consider speaking to a mortgage adviser, or broker, or compare mortgages available on the market to find the best deal for you, and to get a mortgage 'decision in principle'. A decision in principle is similar to being pre-approved, and it does not guarantee you a mortgage. However, it can make buying a property far simpler. Getting a decision in principle means that the bank or lender has looked over your circumstances and credit score and would in theory approve you for a mortgage of the value you're looking to borrow. Rather than going through the entire mortgage application process once your offer has been accepted, a decision in principle usually means that your mortgage application has for the most part been filled in, and that the seller is more likely to accept your offer. In essence, your application is at a more advanced stage and your mortgage is likely to be approved, meaning that there's less chance of finding problems so close to completing the deal. You may ask: how hard is it to get a mortgage? Even if you have the necessary income and deposit available, it can still be difficult. Read on and see the section below on 'how to get a mortgage', which includes guidance on mortgages for people with no credit, or a bad credit history, and those without steady employment. So, when should you get a mortgage? Once you have an idea of what your budget is and how much you can probably afford, you should compare mortgages and see what's right for you, before trying to get a mortgage in principle. Do this before you make any offers on a home so that you can get things going quicker further down the line. When comparing mortgages, one of the most common and important factors for people buying a home is figuring out how much the monthly mortgage payments will be. So how much will a mortgage cost? It comes down to the budget you've set for the kind of property and area you want to buy in. Then it comes down to your income and deposit. Once you have a figure you're set on, you can start speaking to mortgage brokers or using comparison tables, or even speak directly to a bank to see if it's feasible to get the mortgage for your price range and financial circumstances. It sounds simple, but there's still much more to it. You will need to also compare the various terms of each mortgage type. As explained earlier here, there are many kinds of mortgages out there and it will be up to you to decide on the right one for you. Ask yourself, how much will my monthly mortgage payment be? And if interest rates went up, how much will my mortgage cost? Will you still be able to handle the rising fees in the event of interest rates going up? If you are able to switch to a better deal, how much would the penalty fee cost you to leave your current mortgage provider? Remember, a mortgage is a commitment that usually lasts around 20 to 30 years, so not everything you prepare for will work out exactly as planned, but it's worth being prepared as the costs can really add up if you are not careful. Logistically, obtaining a mortgage requires a lot of paperwork, but it's not all that daunting, especially if you are well organised and prepared. Depending on the mortgage provider, you will need a certain number of months' bank statements. Most banks and mortgage providers just want to see proof of income coming in regularly, but others may want to do an extra financial assessment by looking at your recurring expenses to get an idea of how much of your income you are likely to have left over at the end of each month. For example, your income might meet the criteria required for a particular mortgage, but your spending habits may indicate that you are more of a risk to the lender. In the run up to applying for a mortgage make sure to budget properly. Look at all your spending habits before you even start comparing mortgages. Are there any standing orders or Direct Debits you have been paying for years that you don't need? Can you cut down on your weekly shopping spend or minimise how much you spend on nights out? Begin with a budget of your regular outgoings – the more you monitor your spending the more likely you are to cut back a few of the little things. Once you feel ready, start comparing mortgages. You can use our comparison tool to see a wide range of mortgages from many of the country's leading mortgage providers. Just enter the value of the mortgage you're looking for and our table will update to show what mortgages might be available to you. How mortgage payments are made and how much you pay each month is one of the most important factors when choosing the right mortgage for you. Banks often offer a few variable mortgage rate options, and this can modify the amount you pay every month, depending on what you choose. There are a few options available, including standard variable rate mortgages, tracker mortgages, discount mortgages, offset mortgages and capped rate mortgages. Standard variable rate mortgages explained Standard variable rate mortgages are one of the more common types of mortgages available, with many of the leading banks and lenders offering at least one. With a standard variable mortgage, you pay the standard rate of interest charged by your bank or mortgage provider. This rate changes depending on the Bank of England's base rate, and is usually a couple of percentage points higher than that rate, however each bank sets its own standard variable interest rate. The benefit of a standard variable rate mortgage is that you usually get freedom to overpay or switch to another mortgage deal at any time. The disadvantage of a standard variable rate mortgage is that you do not necessarily get peace of mind regarding how much you pay each month, so it's not the ideal option if your income fluctuates month to month or you absolutely need to budget over the next few years. Your rate can change at any time, even if the Bank of England's base rate does not change. Much like the standard variable rate mortgages, capped rate mortgages offer you the bank's standard variable rate of interest, with one exception – your rate will have a cap. This ensures that the rate cannot go above a certain amount. This sounds like a great plan in theory, but the way mortgage payments work is that you will always find a catch or an issue that does not always align with your personal circumstances. One key disadvantage to a capped rate mortgage is that banks will improve their chances of making a profit by starting off with a higher than usual standard variable rate, which is normally higher than others or fixed rate mortgages. Secondly, caps tend to be quite high, so it's unlikely that the Bank of England bank rate will go above it, and unlikely that another bank's standard variable rate would go that high. Finally, the bank, just like with other standard variable rate mortgages, is able to adjust the rate at any time. They can do this up to the cap, so don't look at the cap as simply a protection against higher interest repayments, but rather as the maximum you might have to pay each month. Similar to fixed rate mortgages, discount mortgages offer an introductory deal. The main distinction is that the introductory offer on a discount mortgage can still be changed during the deal's term. A discount mortgage is essentially a standard variable rate mortgage with a discount offered usually for the first two or three years of the mortgage. It's important to not only look at how deep the discount is, but what the overall rate is being offered. Shop around and compare before deciding on any discount mortgages. For example, a mortgage you're looking at has a standard variable rate of 7%, but for the first two years of your mortgage you will get a rate of 5%. This means you get a discount for the first two years, but will have to pay a higher rate afterwards. One added benefit is that if the bank or lender cuts its standard variable rate – this could happen if the Bank of England base rate falls – then your introductory deal could be even lower, as would your standard variable rate thereafter. Similarly, the uncertainty of a standard variable rate mortgage can be a disadvantage, with rates likely to go up if the bank rate goes up. Even your introductory discount deal is not at a fixed rate, so that too could go up at any time. You should also watch out for charges if you want to leave during your introductory deal. If you want security over how much your monthly mortgage payment will be, variable rates can be difficult to budget with and may not be ideal in such a scenario. If you're unsure about taking on a fixed rate mortgage deal but you're still asking yourself, 'how much will my mortgage payments be?' then a tracker mortgage could offer a viable alternative – although you will need to feel confident about judging the Bank of England's future assessments of the economy. Tracker mortgages are almost exactly like standard variable rate mortgages, except that the standard rate provided by the bank will only change in line with the Bank of England's rate, and not due to any other circumstances. A standard variable rate mortgage will usually change according to the Bank of England's interest rate, but it can also do so whenever it feels like. With a tracker mortgage, you are guaranteed that the rate will only track the rate of the Bank of England. This rate is usually a little higher than what the Bank of England's base rate is, so it will still be roughly around the same price of a standard variable rate mortgage, but with the peace of mind that it will only change with the base rate's activity. Offset mortgages, or current account mortgages as they're sometimes known, link your bank account to your mortgage. If you have savings, this will go towards the balance of the mortgage, so for example, if you have £20,000 of savings on a mortgage of £200,000 your balance, which you will have to repay interest on will be £180,000. It also means that you don't earn any interest on the savings that you have, but as a result, you wouldn't pay any interest for the sum of your savings – in this case £20,000. Some offset mortgages only link to your current account, while others link to both your current account and savings accounts. Offset mortgage interest rates can be on fixed rate deals or a range of variable rate offers too. If you are buying a home for the first time, you may need a little extra help to get a mortgage, and this is where first-time buyer mortgages come in. Most mortgage providers offer mortgages specially designed for first-time buyers. These mortgages usually allow you to borrow more than other mortgage types. Some let you borrow up to 95% of the property value, but 80%-90% is more common. These mortgages cater to those with lower deposits, but in the long run they obviously work out more expensive than if you had a higher deposit. If you are a first-time buyer then try to keep saving up your deposit, as each extra bit of cash you can give up front will reduce your mortgage's monthly payments. There is also a range of government schemes to help first-time buyers. See our guide to Help to Buy and keep an eye out for any government announcements about schemes to help first-time buyers. A second mortgage, or a remortgage, can help you pay off your existing mortgage and give you extra flexibility, especially if the new mortgage gives you a better deal. If, for example, you're on a fixed rate mortgage deal and it's now coming to an end, you may want to remortgage with a deal that continues to keep your interest rates low. Even if you're not sure about remortgaging it makes sense to check the remortgage market every now and again. It takes a month or so for a remortgage deal to go through – and interest rates and your own circumstances can change quickly, so it's best to be prepared. 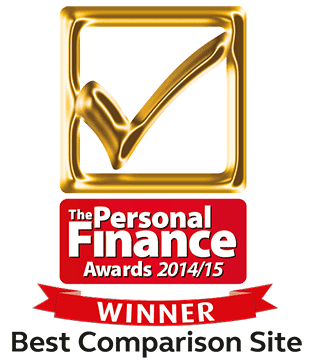 Use our comparison tables to look at the top remortgage deals on the market. You can get a better deal the higher the equity in your home is – this is essentially how much of your current mortgage you have already paid off. See our guide to remortgaging to get a better idea on whether or not a second mortgage could work for you. Buy-to-let mortgages are designed to allow you to buy a property for the purpose of getting a tenant to rent it out. These mortgages factor in the income you will get from rent, and usually work on an interest-only basis. See above for our explanation of interest-only mortgages. The biggest thing to consider before taking out a buy-to-let mortgage is how much commitment you can give to becoming a landlord. Is it something you can handle? How much commitment can you give? Treat it like a business venture first and foremost. See our guide on how to become a buy-to-let landlord for more information. If you have a lack of credit history, you may still be able to get a mortgage. Even if you have a less than perfect history, you may still be able to get a mortgage, however your options are likely to be much more limited and you may have to pay more to lower the risk factor for the mortgage provider. A lack of credit history means that you don't have any or much record of paying bills or debts. To give yourself more of a credit history it might be worth putting your name to a few utility bills at home or even taking out a credit card and paying back those bills – this will soon show up on your credit report and indicate to lenders that you have a credit history. If you have a bad credit history – from missed payments, defaults, etc – then it's generally better to avoid applying for any extra credit until you've taken some time to pay off any outstanding debts first. It is still possible to get a mortgage with a less than perfect history and if you think you do have poor credit, then take a look at our guide to getting a mortgage with bad credit. Do you have a spouse or any family members able to help cover bills for a few months in the event of being unable to pay your mortgage? Before taking out mortgage protection insurance, look at all your back-up plans and weigh up how effective they might be in each scenario. If you still feel mortgage protection insurance is worth having as a safety net, then make sure you compare mortgage protection insurance policies effectively. Some policies may be absolutely pointless depending on your personal circumstances, so weigh up what the right cover for you is. Generally premiums can cost anywhere between around £20 to £100 per month – and possibly higher. Prices vary depending on how much of your repayments you want covered, your general health and well being, as well as your age and medical history. There are many other factors at play when comparing mortgage protection insurance so read our guide to learn more. To compare mortgages, see our tables and find out if you can get a decision in principle today! In simplest terms, most fixed rate mortgages will give you the same rate of interest on your repayments for two to five years. Essentially, it is more of an 'introductory offer' in the world of mortgages. However, as with many offers, they can be too good to be true, so it's important to look out for other factors before going for a fixed rate mortgage. A fixed rate mortgage can be good if you are looking to start off your mortgage repayments knowing that they will be the same amount every month for the length of the mortgage offer (this will be around two to five years long). This is the peace of mind option, but it can also work out better value in the long run too. For example, if the Bank of England base rate looks set to go higher over the next two to five years, then a fixed rate mortgage can help 'lock in' that low rate before it has a chance to increase. However, there are some disadvantages to a fixed rate mortgage deal too. More often than not, variable rate mortgages offer lower interest rates, but because they offer less guarantees over the long term, fixed rate deals may appear more attractive at first. If interest rates go lower during the two to five year fixed rate mortgage deal, then you won't benefit. Your fixed rate stays as it is whether the bank rate goes up or down. But if you go for a fixed rate deal, then watch out for a couple of issues that could arise. Firstly, if you find a better deal during your fixed rate deal's term and want to switch to a different mortgage, you usually have to pay a penalty fee to leave your current deal. Secondly, you should look at what your lender's standard variable rate is. This is the rate that your mortgage will switch to once the fixed rate deal is over. If this, combined with any rises in the Bank of England base rate, is not all that attractive, and you think you can get a better deal elsewhere, it's important to shop around before the deal ends. Just remember, you will still probably need to pay to leave your deal, but it could be worth it in the long term. Think of it as a long term investment. You may not always save hundreds of pounds immediately when you switch, or even anything at all, but try to calculate how much you would pay in comparison over the next two to five years, or even longer. If the new deal works out cheaper, and worth the fee to leave your current deal, then jumping ship could be the right strategy for you. Although interest-only mortgages are not as widely available as they used to be, due to the extra risk posed to lenders, some banks still offer them. Interest-only mortgages allow you to just pay off the interest portion of the mortgage. For example, if you had a mortgage of £200,000 at 5%, over 20 years the interest would be a total of around £116,779. Instead of paying back the capital and the interest together, you would only pay back the £116,779 interest. This means your monthly payments would only include the interest portion, totalling around £486 per month. Whereas if you paid the capital and interest together like any other mortgage, you would have monthly repayments of around £1,320. Obviously, you need to repay the capital – you have to do this by the end of the repayment term – so you may find the interest-only mortgage working similarly to an offset mortgage, with your savings being used to offset the capital.